Our goal is to motivate and inspire you to achieve results you never thought possible and to learn how to live a healthier lifestyle. Creative programmes will excite you and allow you to train confidently with expert support to keep you focused. Training sessions are based around you, what environment you want to be in, what time suits you and what you want to achieve. Being in a beautiful County we try to get outside as much as possible, fill ourselves with the fresh Cornish air and enjoy the environment. R U FIT, established by Rebecca Uterhark, offers a FREE no obligation initial consultation, so you can get to know your personal trainer before you want to purchase any sessions. 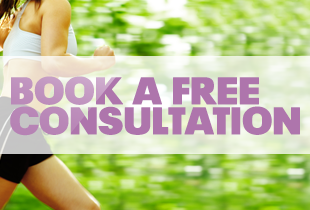 The initial consultation also presents an opportunity for us to discuss your personal health and fitness history and to work together to establish your goals and objectives. Feel free to call Rebecca today and discuss your appointment.